"N.C.I.S. : The First Season follows an elite team of special agents who operate outside the military chain of command. Led by Special Agent Leroy Jethro Gibbs (Mark Harmon), a tough, highly skilled investigator who's willing to bend the rules to get the job done, this tight-knit crew travel the world investigating everything from murder and espionage to terrorism and kidnapping in this unique set featuring all 23 pulse-pounding episodes..
Own NCIS Season 12 DVD from Deff, DVD, Blu-Ray & 4K Video Specialists - Free UK Delivery.. N.C.I.S. : The Second Season continues the mind-blowing action and pulse-pounding adventures of an elite team of special agents who operate outside the military chain of command. Led by Special Agent Leroy Jethro Gibbs (Mark Harmon), a tough, highly skilled investigator who's willing to bend the rules to get the job done, this tight-knit crew prove they're willing to pay the ultimate price when they travel the globe investigating everyth..
"NCIS: The Third Season continues the critically acclaimed, action-packed adventures of a cutting-edge team of special agents who operate outside the government's chain of command. Led by Special Agent Leroy Jerthro Gibbs (Mark Harmon), a tough, highly skilled lead investigator who's not afraid to bend the rules, the NCIS team must somehow band together and recover after suffering the devastating loss of one of their special agents to a..
NCIS: The Fourth Season the top-rated investigative crime drama, continues the thrilling adventures of a cutting-edge crew of special agents who operate outside the government's chain of command. Led by Leroy Jethro Gibbs (Mark Harmon), a former Marine whose skills as an investigator are unmatched, this highly trained, tight-knit team travels the world investigating murder, espionage and terrorism. This 6-disc set includes all 24 action..
NCIS: The Fifth Season delivers more drama, surprises, wit and humour than ever before from the elite team of special agents that bravely battles spies, kidnappers, murderers and terrorists around the world. This season is marked by mysterious secrets among the cutting-edge crew, an explosive showdown with an elusive arms dealer and a shocking final episode that should not be missed. Starring Mark Harmon, Michael Weatherly, Pauley Perre.. Enjoy every twist and turn from NCIS in this explosive 48-disc collection. Join special agent Jethro Gibbs (Mark Harmon) and his team as they face international espionage, murder and terrorism around the globe. Every suspense-filled episode from the acclaimed crime drama is here, complete with behind-the-scenes featurettes and special features.EPISODES: SEASON 1: Yankee White Hung Out To Dry Seadog The Immortals The Curse High Seas S..
Own NCIS Season 10 DVD from Deff, DVD, Blu-Ray & 4K Video Specialists - Free UK Delivery..
Own NCIS Season 11 DVD from Deff, DVD, Blu-Ray & 4K Video Specialists - Free UK Delivery..
Own NCIS Season 14 DVD from Deff, DVD, Blu-Ray & 4K Video Specialists - Free UK Delivery..
NCIS: THE SEVENTH SEASON is the hit show's most explosive one yet, as all 24 episodes of the blockbuster series return to DVD in this 6-disc set, with never-before-seen special features! This season, the tight-knit group of NCIS agents face their most personal cases to date, as familiar faces, family members, and old adversaries complicate their lives and jobs. Also this season, Special Agent Jethro Gibbs (Mark Harmon) is pursued by not.. The NCIS team is back in action with all 24 suspense-filled episodes of Season 9. 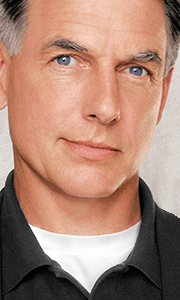 Special Agent Jethro Gibbs (Mark Harmon) continues to lead the team at the Naval Criminal Investigative Service as they probe into intense military matters, including national security breaches, a secret society of superheroes, and brutal murders - one of which drops them in the heart of Afghanistan and another which leads them to a long-lost agent. Co-sta..
Own NCIS Seasons 1 to 13 DVD from Deff, DVD, Blu-Ray & 4K Video Specialists - Free UK Delivery..